Stephanie Chandler discusses author self-promotion. 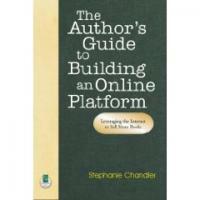 The Author's Guide to Building an Online Platform by Stephanie Chandler offers writers guidance to marketing themselves on the Internet. A platform can really help an author to land a publishing contract, have success in publishing and develop their own success while staying home and avoiding a lot of travel. 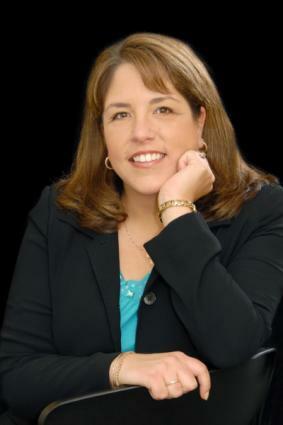 LoveToKnow Freelance Writing took some time to sit down with author and speaker Stephanie Chandler to discuss her book and how an author's platform can help you. LoveToKnow (LTK): What is an author's online platform? Stephanie Chandler (SC): An online platform is how you build visibility, credibility and an audience on the Internet. I want authors to think beyond a basic brochure website. You can leverage the Internet to promote yourself by participating in podcasts and Internet radio programs, publishing articles across dozens of websites, providing resources for your target audience on your website, and utilizing the many other ways to get exposure and demonstrate your expertise online. LTK: Is an online platform the only way to sell books? SC: No, but in my opinion it is the quickest and most powerful way to build an audience. LTK: How can a novice develop the skills and contacts necessary for an online platform? SC: I'm a big believer in self-education. Take some time to learn about search engine optimization (SEO) so you can understand how to make your site work for you. Read books and learn from others with websites and podcasts on related topics. The information is out there and it's not as difficult as you might think. If you don't have the time to do it yourself, hire someone to help you. There are virtual assistants who specialize in working with authors. Check the directory at International Virtual Assistants Association. LTK: If an aspiring author does not have an online platform, does it really limit their publishing opportunities? SC: Publishers want authors who have a built-in audience. A strong online presence can definitely help you land good book contracts (it has worked for me). If you don't have an online platform, you have to demonstrate that you have a more traditional platform. Often that means that you must be on the road, speaking to tens of thousands of people each year. An online platform can definitely improve your chances of landing a traditional publisher and if you're publishing yourself, it is a key strategy for increasing book sales. Check out The Author's Guide to Building an Online Platform. LTK: In your book, The Author's Guide to Building an Online Platform, you walk writers and authors through the process of building an online platform, how did you become so familiar with the process? SC: When I first ventured into publishing, a well-known agent called me because he liked my work. But he gave me the "You've got to have a platform" speech. Since I didn't want to travel all the time and build a platform the traditional way, I decided to investigate ways to do it online. I knew that I wanted to write business and marketing books so I launched BusinessInfoGuide.com. It's a directory of resources that I use to attract my target audience. Visitors come for the free information, sign up for my newsletter and eventually purchase my books and information products. I have spent the last five years studying and testing online marketing strategies and building my author platform. I self-published my first book and have since landed three book contracts with traditional publishers thanks to my online platform. LTK: If you could give aspiring authors one piece of business advice, right from the get-go, what would that be? SC: Don't be afraid to put yourself out in the public eye! I see a lot of authors resist the idea of self-promotion, but really, this is a life skill. If you want to get ahead in corporate America, you have to demonstrate your value. The same rules apply if you want to be a successful author-you have to be willing to toot your own horn, show your face online with a professional photo, and demonstrate your unique value to your potential readers. Instead of fearing it, have fun with it! Publishing a book creates powerful opportunities for authors who want them. You have to want them.